What Types of Property Can Accrue Intellectual Property Rights? Like many of their larger Fortune 500® counterparts, most creative companies know intellectual property is their most valuable asset. Intellectual property rights are essential in the legal exclusion of competition. Endeavors thrive because of their intellectual property, and due to Treaties enacted by many of the World’s governments, creative intellectual property owners often find the privileges and monopolies flowing from their Patents, Trademarks and Copyrights to be global in scope. Creatives with business savvy understand the importance of excluding competitors from competing directly against their product or service. In today’s far-reaching marketplace, only the most resourceful people have any hope of surviving the assault of their cheapest cutthroat competitors. In the end, most creative start-ups find their intellectual property assets are the lifeblood which sustains them against the onslaught of larger and better financed rivals. History is replete with examples of this reality. At the same time, recent reports demonstrate Wall Street investors reward creative entrepreneurs, who are well-endowed with valuable intellectual property holdings. Patent rights are excellent assets. What kind of property is sufficiently creative to be protected by intellectual property rights? Business Patent Law, PLLC offers the following criterion to appraise the potential value of owning Patents, Trademarks and Copyrights. 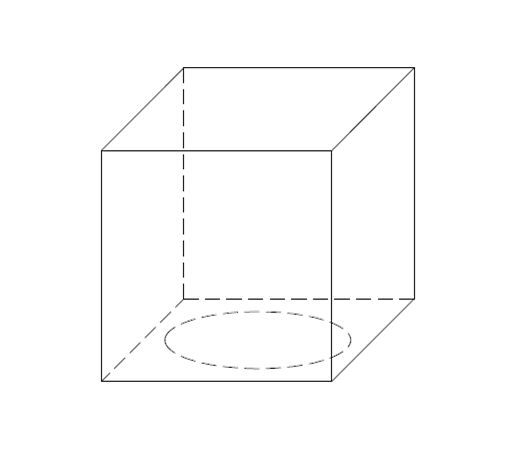 Let us begin with a simple 3-D shape. 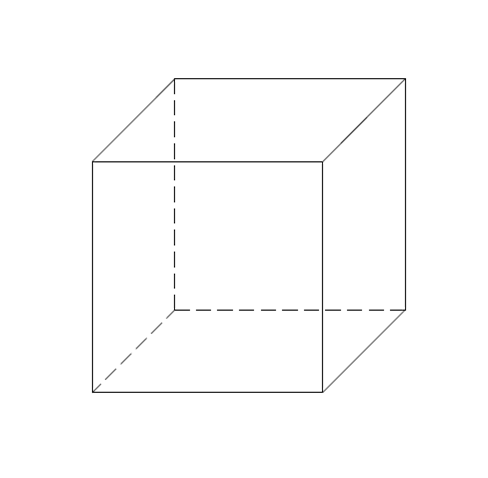 Some would call it a box, others a cube, while still others would label it a block. Since cubes have been around for millennia, many would argue that it impossible to patent a cube. However, in the United States of America, for a utility patent, the patentability of the invention is not measured against how long something has existed. Instead, the dual tests of novelty and non-obviousness — to those skilled in the art, are the standards for patentability. A utility Patent must also have a function while a Design Patent is limited to its ornamental design. 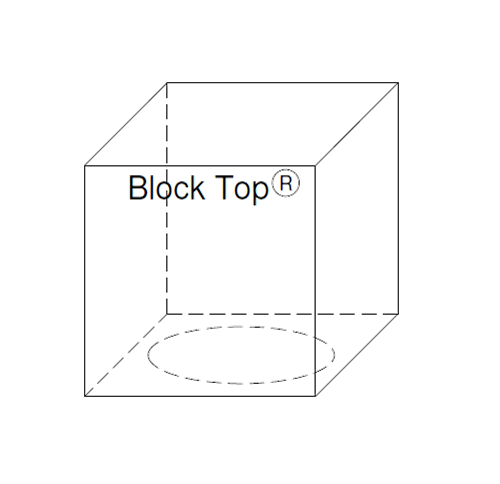 Because this cube is the corner stone of our intellectual property asset example, it will be labeled a block, i.e., an intellectual property building block. Whether or not a building block is patentable depends on the invention built. For instance, cutting a hole in bottom of our block creates a new type of hat. 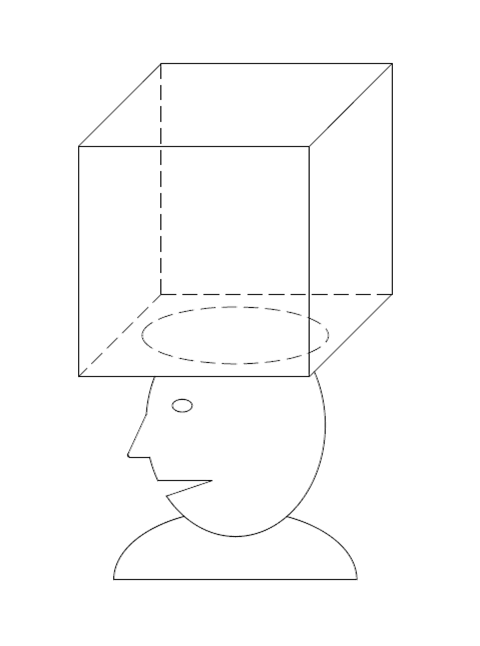 Because US Patent Office records reveal no one else has ever patented a block hat or any similar hat-cap-type structure, then it is possible to obtain a utility Patent for the block hat. Taking the patented block hat that functions to protect heads and attaching a Block Top™ label to it creates a Trademark. 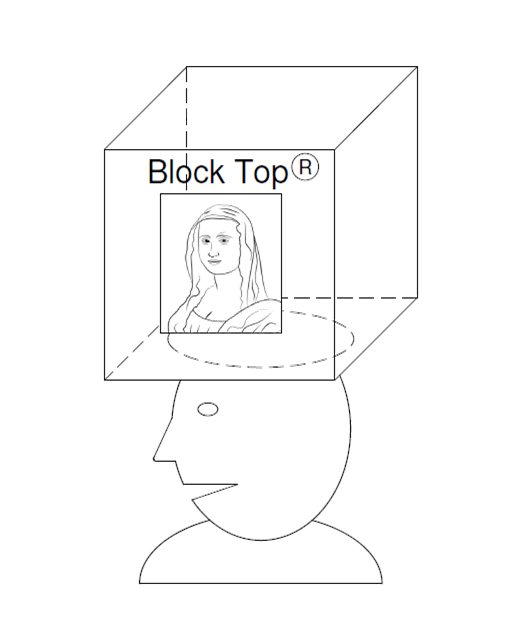 Since the records of the Trademark Office reveal no other person owns the typed term Block Top for hats, the creative applicant can procure a Federal Registration of Block Top® for hats. Because the Block Top® label is attached to the hats, anyone buying the hats knows he/she has purchased the genuine, the original and the patented Block Top® hat. In doing this, the creative person makes his/her mark on commerce. 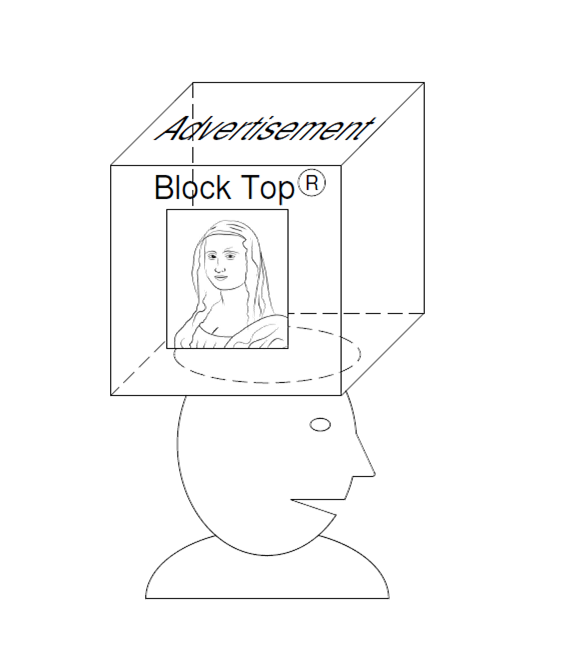 When a design, such as a Mona Lisa, is added to the trademarked and patented Block Top® hat an ornamental design is created. Such a design can be the subject of a Design Patent. By attaching advertising messages to the design patented, utility patented and trademarked block hat and filing an application for registration of Copyright, a Copyright Registration for the advertising message affixed to the Block Top® can be procured. Methods of doing business are now subject matter for United States utility Patents. A creative entrepreneur could contract with advertisers to promote their products or services at sporting events. Then, the entrepreneur could hire a host of people to walk about a soccer or football stadium during games while wearing the Block Top® hat with the copyrighted advertisement attached. In conducting this business, the creative entrepreneur has invented a “method of doing business at sporting events” that can be the subject of a United States utility Patent. This simple example demonstrates how it is possible to obtain intellectual property rights, in all classifications, to seemingly simple ideas by following the procedures required by the Law of the United States of America. Even in today’s worldwide marketplace, there are those rare occasions, when the ambit of exclusionary protection is simply too limited to justify the expense of procuring intellectual property rights. In short, the exclusionary rights are so narrow in scope that any resultant monopoly is useless against competitors and isn’t worth the time, money and effort. Further, certain market-entry price points may not justify the expense of procuring intellectual property rights. Find out who needs our services. If you need professional Intellectual Property Legal Consultation to determine your best next steps, call (859) 239-8999 to set up an initial consultation. Legal Contracts From The Cloud?